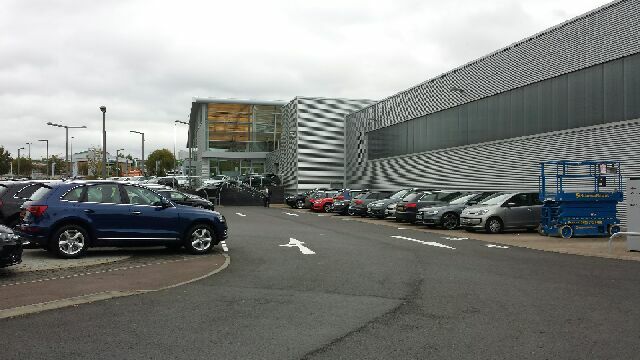 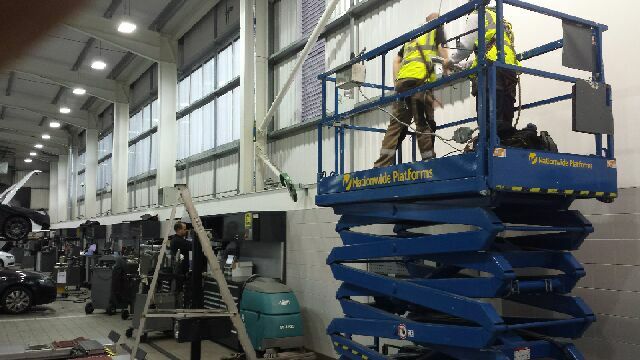 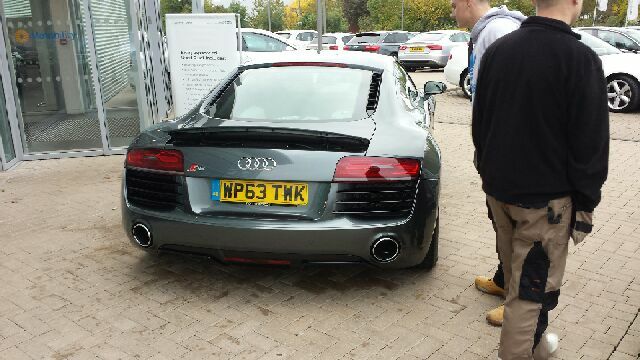 See the images below from a recent installation for Audi Bristol. 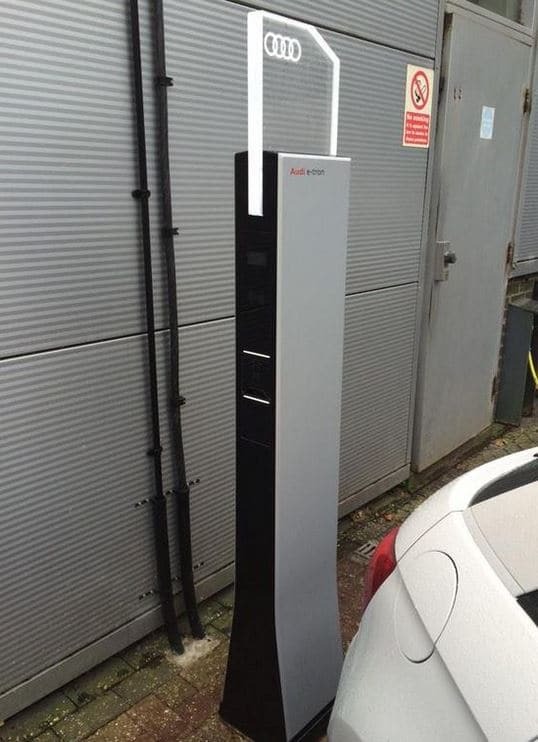 The new Audi e-tron range of electric vehicles require charging stations to be installed at all primary dealers. To facilitate allocation of electric costs at the charging points an external grade Cat6a point was installed in each terminal. To connect the Cat6a points a new 8 core fibre optic link was installed from the main server room to a new breakout cabinet in the maintenance bays, along with a new network switch. 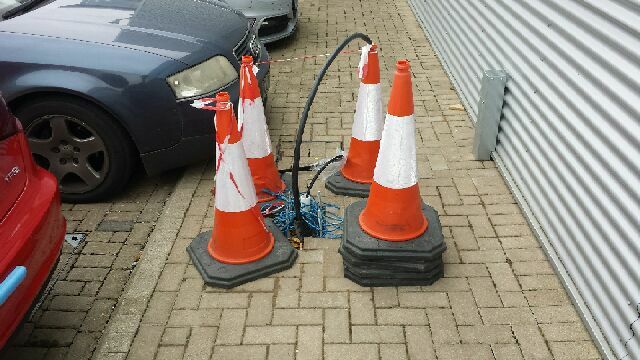 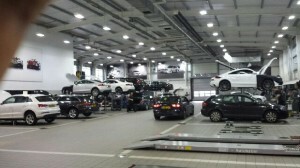 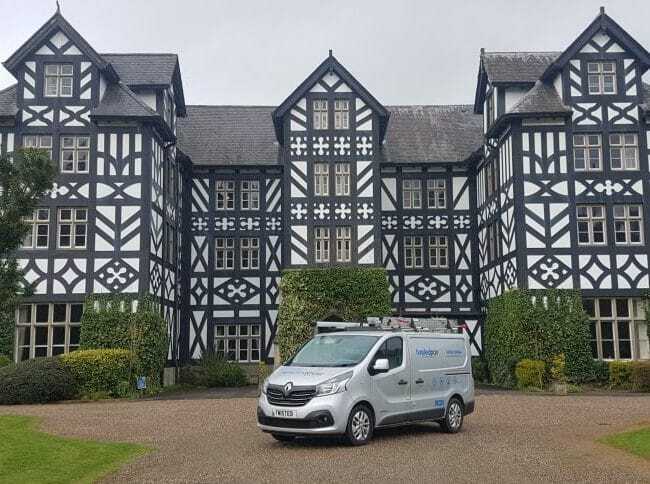 We supplied and configured the complete solution with the final connection to the Audi network. 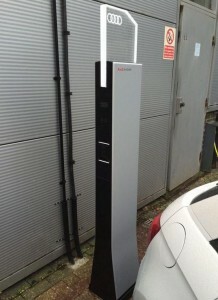 The data connection allows e-tron car owners to present their smart card at any charge point and then get billed appropriately for the electricity used.